I received Wuka Squares in exchange for this post. All opinions are my own. Toddlers are so much fun. I love watching my kids learn, grow, and develop their own little personalities. Both of my kids are naturally very curious, but one is very quiet and reserved while the other is loud and independent! When it comes time for them to be quiet like at church, or at the Dr’s office, or in a waiting room, one is pretty easily entertained while the other is a little less compliant. I remembered when I was young have a busy or quiet book, as they were called, to give to my little sisters or children that I babysat. I went out in search of one for my kids and found many, many patterns that I have purchased and never made. I guess that is what happens when you have two kids under the age of 2, right?! But, in my search I found Wuka. What is Wuka? Wuka is a silent, educational toy that consists of several different Squares held together by a link system. 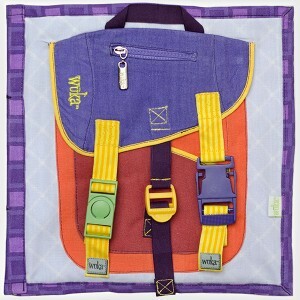 Each square is made from high quality fabric and is designed to teach your child essential skills while keeping them quietly entertained. They offer several different squares requiring different skill sets so that your book can change and grow as your child does. Catching Critters- This cute set has magnetic bugs that can be gathered from their homes with the matching magnetic stick. Save them in the transparent jar. 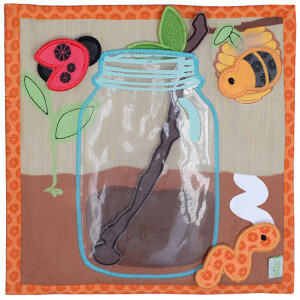 Bundled Up- Help your child learn to navigate tricky skills like buttons, snaps, and zippers on this layered Square. Pack It In- Buckles, snaps, and zippers, oh my! My kids love stashing stuff in these pockets. Doggone Cute- This cute dog is actually a puppet! Feed him some bones and store the leftovers in the jar. His collar is perfect for practicing buckles too! 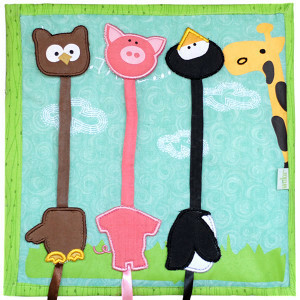 Tall, Tall, Tall- You child can help these cute animals stretch their necks long and tall like the giraffe. We have had our Wuka Squares just over a week or so and it has been a game changer, especially for my wild one! I can proudly report that these Squares kept her occupied and engaged for a full hour during church! We usually have to leave 3-4 times and we stayed in our seats all day! I can’t wait to try some of the other squares they offer (like one for tying shoes) when my kids are older and ready for them! 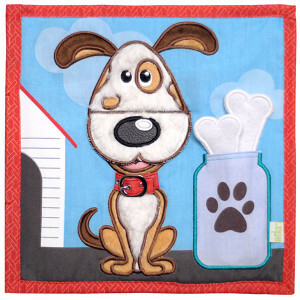 Wuka Squares can be purchased on their website and range in price from $11.50-$19.00. The squares have an aluminum rod in the left side that snap in to a silicone rod. With one rod at each end, you have created a book.